Not having a car can be really tough. Even tougher is being able to afford a car, but being declined for motor vehicle finance in South Africa because of a poor credit record. Trying to arrange car finance with bad credit is kind of a catch 22 situation, because the only way to improve your credit rating is to be consistent with your monthly credit payments… which is just not possible if you are not granted credit in the first place. But what if easy vehicle finance, even while blacklisted or under debt review, was a real possibility? And what if your car finance could actually help improve your credit rating? Earn-a-car offers a fantastic rent-to-own car finance solution that not only helps you get your credit record back on track, but gives you cash back to put towards purchasing your car. When you don’t have your own transport, life can become frustrating and annoying. If you’ve been struggling to be approved for car finance with bad credit, we can help even if you’re blacklisted so long as you have permanent employment and can afford monthly payments. If you are approved for financing through Earn-a-car, and are conscientious with your monthly payments, this will reflect on your credit record and is a step towards getting un-blacklisted. For every payment you make, Earn-a-car gives you R300 cash back. This bonus is paid back as a lump sum at the end of your finance agreement period, and you can use this cash to purchase your car. It’s a win-win scenario! 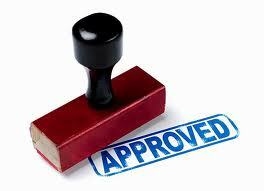 For information on how we can help with buying a car while blacklisted in South Africa, contact us today.